Yes it certainly does. As the chiropractic field widens in both Chattanooga, TN and across the US, it’s only natural that chiropractors here and there will branch off to focus on different segments of the population, just like mainstream doctors. Just in case you fit into one of these population segments, we thought you’d like to know what’s available to you. Check out these specialties and see if your Chattanooga, TN chiropractor can point you in the right direction. This one speaks for itself. Chiropractors are generally taught how to perform spinal manipulation properly on children, but if a chiropractor specifically treats children in Chattanooga, it means he is up to date on all things pediatric. He is probably part of a chiropractic pediatric guild like the International Chiropractic Pediatric Association and attends seminars with other like-minded specialists to stay current on research discoveries. 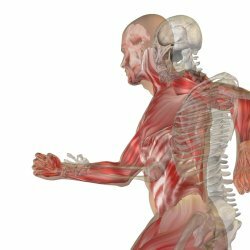 Much like a physical therapist, this specialty focuses on rehabilitating damaged tissue. So it’s a combination of two worlds—muscle strengthening and re-coordination of damaged tissue so that patients fully recover from injuries. You can find out more at the American Chiropractic Association Rehab Council website . Since general chiropractic makes its goal to treat musculoskeletal problems, it only makes sense to combine chiropractic and acupuncture to create a chiropractor who can both crack your back and treat your tense muscles with acupuncture. Again, different councils exist to ensure these acupuncture chiropractors in Chattanooga and elsewhere stay current and well-trained, such as the Council of Chiropractic Acupuncture . Basically, this specialty is the chiropractic version of primary care—the chiropractor diagnoses ailments and helps cure patients of things they might go to a primary care physician for. According to the ACA (American Chiropractic Association) , these chiropractic specialists do blood work, hormone testing, EKGs, and more. It’s an interesting approach to consider the next time you have pink eye or mysterious symptoms. This specialty provides patients with a non-surgical and medication-free approach to brain and nervous system dysfunctions. Most of the time, patients see medical neurologists or neurosurgeons when a brain complaint arises, and they will receive either medication or surgery, respectively. Chiropractic offers a holistic approach to the same maladies, as you can read about in this helpful article . Chiropractors certified with this specialty (quite obviously) have a deeper knowledge of how nutrition affects the body. 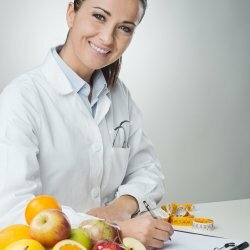 When chiropractors are certified by the Chiropractic Board of Clinical Nutrition , they can provide you with professional guidance about your nutrition in combination with any ailments you are experiencing. Since a lot of chiropractic is determining the pattern of patients’ walking gaits, it only makes sense for chiropractors to specialize in foot maladies. Once chiropractors are certified in orthopedics, they gain legitimacy among orthopedic surgeons, so that when they discuss patients, their opinions are upheld. And finally, sports chiropractic has made strong headway over the last few decades: pretty much every team in the NFL and NBL have chiropractors on staff. Chiropractors are able to prepare athletes’ bodies in order to prevent injury, and treat injuries so they heal much more quickly. Again, there are several councils in place to give chiropractors opportunities to stay current through classes and seminars, such as the ACA’s Sports Council . Now that you know what specialties exist in the world of chiropractic, you might take some time to search the Chattanooga area for a specialist. For example, if you have a kid who might benefit from chiropractic, find a pediatric chiropractor instead of a general chiropractor. You can trust that this Chattanooga, TN chiropractor is specifically trained to treat children properly. And so on for every specialty we’ve talked about today. Have you ever seen a chiropractic specialist, or at least thought about finding one? Leave a comment below and we’ll respond right away; we love hearing from our readers! Why Are My Shoulders Called Atlas? If you’re from Chattanooga, and if you’ve ever wanted to know more about your spine, this article is for you. We’ve compiled the most interesting facts about the spine that we could find—and since knowledge is power, they may save you from an injury one day. For all you Chattanooga, TN residents out there, knowing about your spine is one of the best ways to prevent injury. So to avoid regular visits to your Chattanooga, TN chiropractor, keep reading. There are over 120 muscles in the spine . When the spine gets out of alignment, any one of those 120 muscles can be yanked with the maladjusted vertebrae, pinching nerves and causing pain. The spinal column has approximately 220 ligaments that keep the vertebrae in place and resistant to external force (like a car crash). The spine has 100 joints, making it flexible enough to curve into two thirds of a circle. One fourth of the spine’s length is from cartilage , the sponge-like cushion that separates vertebral discs. When an astronaut returns to Earth, he may be 1.5 to 2 inches taller than when he left. This is because the further one gets from the gravitational pull of Earth, the less pressure gravity places on cartilage. The most common cause of back pain in America (and Chattanooga, TN) is car accidents. 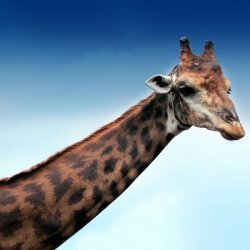 Both giraffes and humans have 7 vertebrae in the neck. 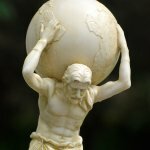 The first set of vertebrae—the 7 cervical vertebrae—are also called Atlas, after the Greek myth about Atlas, a character who lost a fight and had to carry the earth on his shoulders. We are born with 33 vertebrae but only have 26 by the time we become adults. Four vertebrae fuse together to form the tailbone, and 5 fuse together to form the back of the pelvis. It is estimated that 80-90% of back pain will resolve itself without treatment within 4 to 6 weeks. When you injure the spinal cord, the body can’t send signals to your skin to trigger sweat glands. A person with a spinal cord injury must cool down externally—like with a bucket of cold water. 82% of people with spinal cord injuries are male. As a result of cartilage compression due to gravity, humans begin to lose a quarter of an inch to 5 inches of height per decade after age 40. What do you know about the spine? Do you know some facts about the spine that we haven’t mentioned yet? Do tell! Leave us a comment in the box below, click submit, and you’ll have a conversation going in no time. We love to hear from our readers—and our readers love to hear form other readers—so take a moment and give us your knowledge. Who knows, maybe you’ll save someone’s back from an injury!